Out of stock since Monday, 12 February 2018. Due back soon. 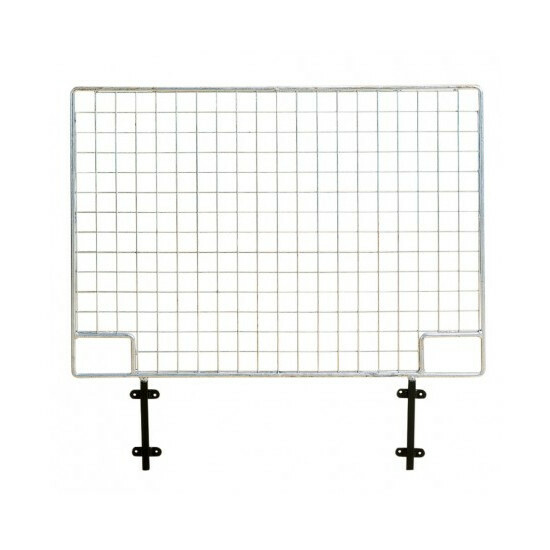 The Stubbs Mesh Door Grids are lightweight mesh grilles with two hand holes. Can be interchanged with Top Door and Anti Weaver grilles. We recommend attaching the sockets with bolts. Hot dip galvanised 12mm rod frame with 2 inchÂ (50mm) square mesh. STUBBYFINE coated sockets. There are currently no questions for Stubbs Mesh Door Grid - be the first to ask one!